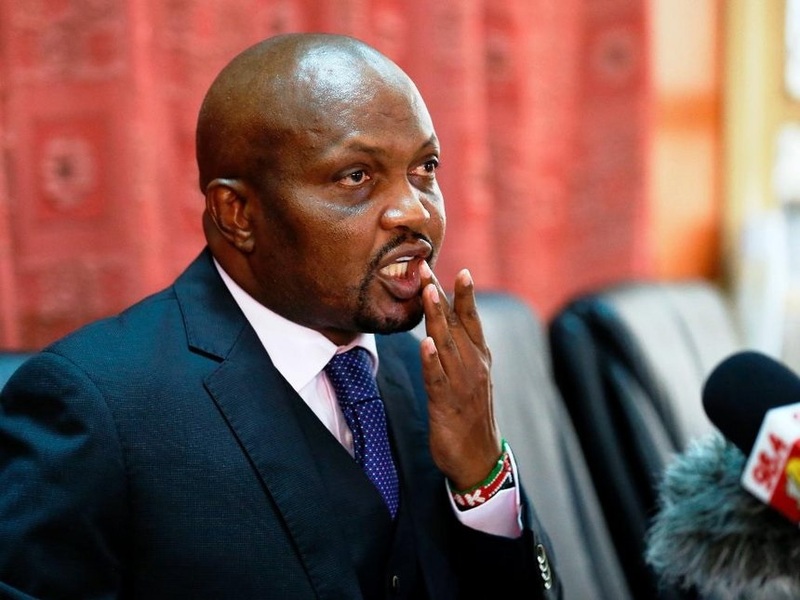 You are PROSTITUTE journalists- MOSES KURIA goes mad and insults The Star Journalists(VIDEO). DAILY POST: You are PROSTITUTE journalists- MOSES KURIA goes mad and insults The Star Journalists(VIDEO). resignation letter to the speaker. at Parliament Buildings and attempted to chase Star journalists from the presser. of my press conference. You are practicing prostitute journalism” the visibly angry MP yelled. break out news that Kuria had resigned but it turned out to be a lie. insulting The Star journalists calling them prostitutes. PHOTOs of the slay queen who was abandoned by Ex-President MOI’s grandson to foot a bill of Ksh 100,000 at a lavish hotel, Alijua Hajui. Was I drinking with your mother? Arrogant MOSES KURIA asks Kameme TV presenter during Live TV interview (VIDEO).